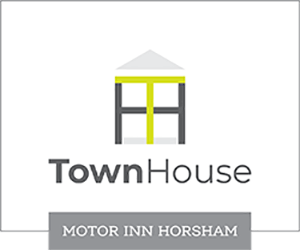 At Townhouse Motor Inn we offer affordable comfortable rooms with a variety of room configurations and for your convenience, we also provide free on-site parking. We can accommodate early or late arrivals and departures and all rooms have complimentary tea and coffee making facilities, fresh milk, a toaster, microwave, cups and crockery. Our rooms have heating and cooling, a 50-inch television with Foxtel, and free 24-hour wireless internet. Breakfast is available and served to your rooms, and we are also within walking distance of multiple cafés. We also have a newly renovated pool and BBQ area available on-site for your relaxation and enjoyment.